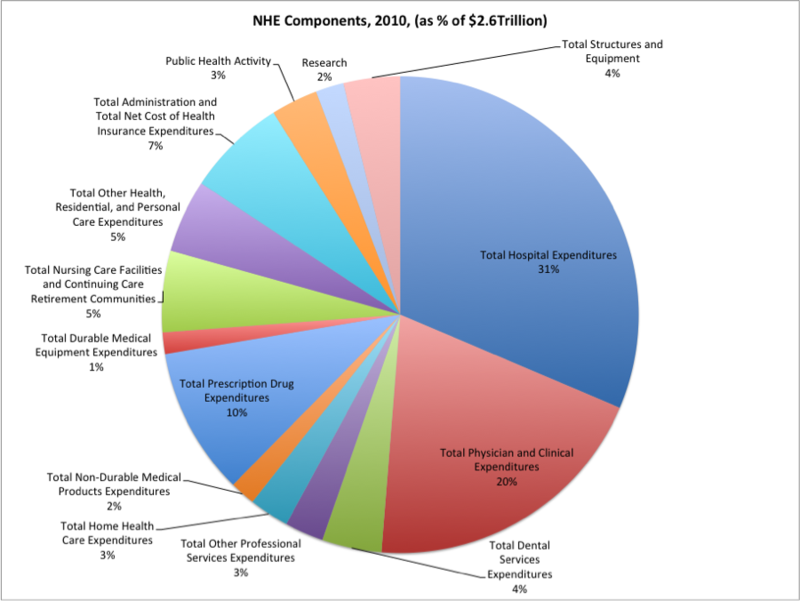 This post examines the size of the different components that make up the total $2.6 Trillion National Healthcare Expenditures (NHE) of the USA. It also looks at the different growth rates of the components. This is the third installment in our series on US healthcare costs. For background to this project, which is all about identifying fertile opportunity spaces resulting from runaway healthcare costs, see the introduction; the first installment; and second installment of the series. Nursing Care Facilities and Continuing Care Retirement Communities (5%).